Having moved her family west to Asheville, North Carolina, Mahala Artis sold her large lot at the northwestern corner of Green and Pender Streets to Samuel H. Vick for $275 in 1899. Deed book, page, Register of Deeds Office, Wilson. One-third acre on Lodge Street to Susan Mitchell. State of North Carolina, Wilson County } In the Probate Court. 1880 census of Town of Wilson, Wilson County. 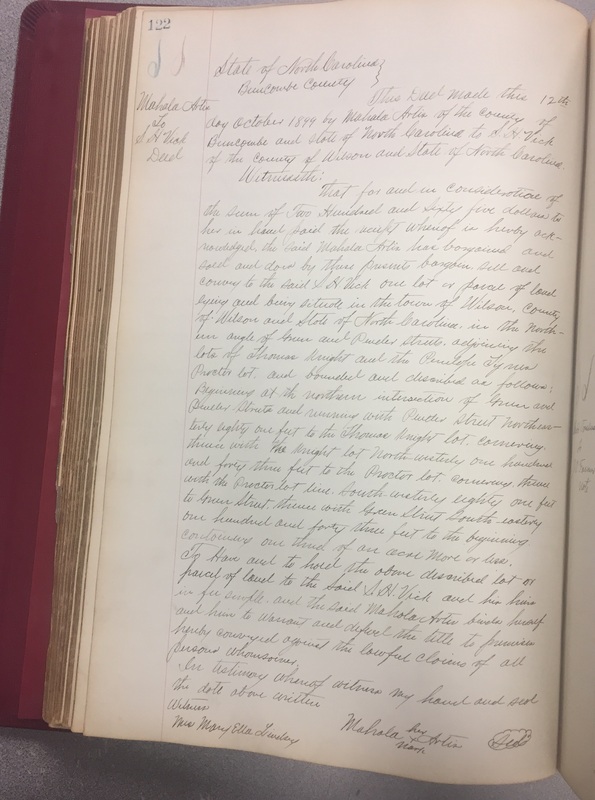 Deed Book 11, page 35, Wilson County Register of Deeds Office, Wilson.